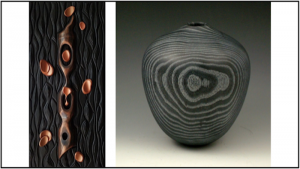 New Hope Arts will host an invitational exhibition starting April 20 featuring a pair of artists who express their exceptional perspective using wood as a medium. “Two Artists, Two Visions” highlights the work of Andy DiPietro and Norine Kevolic, award-winning sculptors who have shown regionally and nationally. 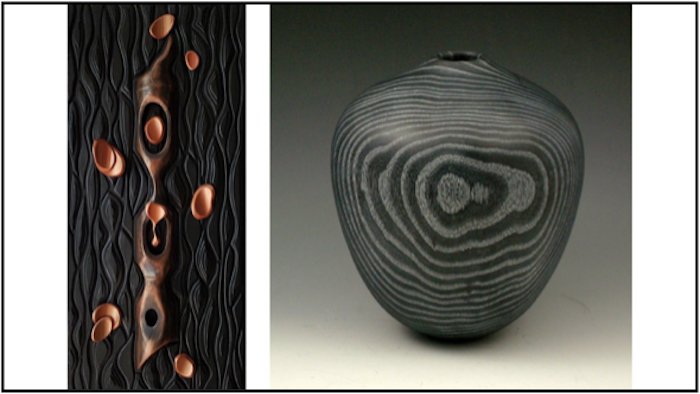 The fluidity and intricacy of their work gives new insight into the versatility of wood and its creative potential. Andy DiPietro, a wood turner and carver, has combined techniques in three-dimensional forms that prompt viewers to ask “how did he do that?” In contrast, Norine Kevolic’s sublime relief panels contemplate universal themes. The show opens Saturday, April 20, from 5 to 8 p.m., and is free to the public. Gallery hours are Monday, April 22, from 12 to 5 p.m. and every Friday, Saturday, and Sunday through May 5. There will be extended hours each Saturday until 8 p.m. with the artists. New Hope Arts is located at 2 Stockton Ave. in New Hope. Call (215) 862-9606 for more information.